Power cuts implemented by Eskom costs South Africa’s economy between $1.7 billion (R20 billion) and $6.8 billion (R80.1 billion) a month, Reuters has reported. The news agency cited a presentation by the department of public enterprises to parliament on Wednesday (25 March). “Load shedding between stages 1 and 3 costs the economy anywhere between 20 billion rand ($1.69 billion) to 80 billion rand per month,” the presentation said. Eskom has been forced into rolling blackouts in 2015 following the collapse of one of its coal storage silos, diesel shortages, and maintenance issues. Leadership issues also continue to plague the power utility following the suspension of Eskom’s CEO, Tshediso Matona, and three other senior executives including the financial director, to allow for the Tsotsi inquiry into the operations of the utility without their interference. Dawie Roodt, director and chief economist at The Efficient Group, said late last year that Eskom’s blackouts had cost South Africa as much as R300 billion since 2008. 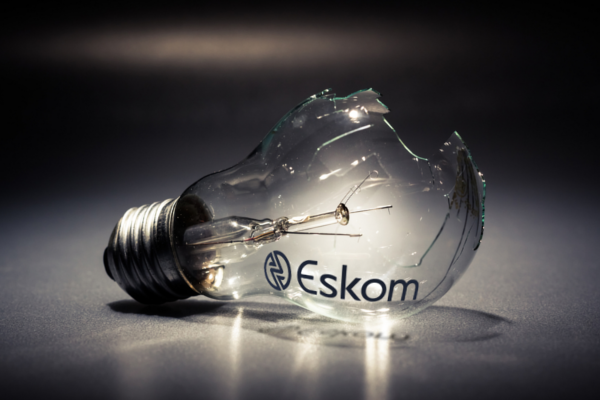 Energy expert, Chris Yelland recently noted that Eskom’s controlled blackouts, since December 2014, have had a “serious negative economic impact”. The cost to the economy during stage 1 load shedding – 10 hours of blackouts per day for 20 days a month – is R20 billion per month. Stage 2 load shedding, using the same time parameters, costs the economy R40 billion per month, while stage 3 is estimated to cost SA R80 billion per month. World Bank data shows South Africa’s GDP at $350.6 billion (R4.1 trillion), meaning stage 3 load shedding wipes almost 2% of the country’s economic weight off the map. “These costs to the productive economy for load shedding in SA are based on a cost of unserved energy of R100 per kWh,” said Yelland. A recent technical fault at the Koeberg nuclear power plant resulted in one of its 900MW units going offline, which incurred further costs to SA and Eskom. “The cost of unserved energy to the productive economy in SA caused by this Eskom “human error” at Koeberg is estimated to be R7.5 billion,” said Yelland. Yelland added that Eskom’s additional diesel costs for one week due to the “human error” at Koeberg was estimated to be R250 million.